The electronic health record (EHR) is now used by the majority of physicians during every patient encounter. The EHR has become the most important tool in our “black bag” and precisely for that reason, the EHR must be highly accurate and free of bias. As our most heavily utilized tool, the EHR must also be flexible and highly optimized so as to ensure it does not adversely impact the delivery of healthcare. Unfortunately, numerous surveys have found widespread physician dissatisfaction with EHR design. The fact that EHR programming code is shielded from objective scrutiny by independent evaluators increases the risk that the EHR will contain errors and bias which could adversely impact our patient’s health, hinder our ability to deliver healthcare, “warp” the design of the healthcare system and drain financial resources from our patients and society. EHR “errors” are well documented in the literature and are referred to as “e-iatrogenesis” or “technology induced” errors. “Bias” in EHR programming code is not discussed in the literature. At its most fundamental level, the practice of medicine is predicated on the rational application of scientific principles which have been vetted using a transparent evaluative process. This process has served the public interest well. The proprietary nature of commercial EHRs has shielded them from the same level of scientific scrutiny which we mandate from new pharmaceuticals and medical devices. Currently, we wait for someone to report an EHR error before the error is fixed. In the clinical realm, this would be tantamount to waiting for a patient to have their first episode of angina before we initiate a statin. Rationally, we proactively measure our patient’s lipid profile and intervene before their first clinical event. In the same vein, we should demand full transparency of EHR programming code and proactively evaluate the code as a means to reduce EHR errors and bias. The need for code transparency was recently highlighted by a Politico investigative report which found that the contracts of six large EHRs all contained a “gag clause” which prohibited the users from publicly disclosing errors in their EHR. (6) I also know from personal experience that EHR users have been dissuaded from publicly disclosing errors in their EHR and some EHR companies contractually proscribe users from publishing screen shots from the EHR without vendor permission. The adverse consequences of proprietary source code has lately become a topic of public discussion when it was discovered that Volkswagen had used proprietary software to altered the emission control systems of their vehicles so as to fool regulators into believing that their diesel engine were compliant with national emission control standards, when in fact Volkswagen vehicles were emitting far larger amounts of nitrogen oxide than was allowed by law. (7) Had Volkswagen’s software code been “published information” this deception would have been detected a long time ago and tons of pollution would not have been added to our atmosphere. In 2015, the Institute for Medicine had recommended that the Federal Government should mandate that health IT vendors should be required to “…routinely submit their products for independent evaluation.”(9) In my opinion, it would be a mistake to assign this responsibility to the Federal Government as it tends to be overly bureaucratic, secretive, inflexible and prone to external fiduciary interests. Clearly, increased EHR transparency needs to be imposed on the EHR industry and this needs to be done in a way which is fully transparent to the public. I believe we can improve EHRs, without disrupting the EHR market or incurring Federal or private expense, if all EHR programming code was published to the web as a PDF or as a text file and accessible to be read by anybody. I would call this type of source code “published information.” “Published information” is not the same as “open source” software, as the latter gives the user the ability to modify the source code. While there will be some technical or logistic issues if the EHR industry published their source code, none of the impediments are unsurmountable. 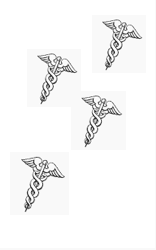 As a means of pressuring the EHR industry to publish their source code, medical schools, training programs and medical societies should begin to teach their trainees and members that physicians have a professional obligation to prioritize the use of “evidence based” EHRs and should favor EHRs which have “published” their programming code, in the same way physicians are taught to favor “evidence based” treatment options. Concurrently, these organizations should begin to educate our politicians on this subject. Large businesses, commercial insurers and the Federal Government should attach financial incentives to encourage the use of EHRs whose programming code is “published information” much in the same vein as some of these entities now ascribe financial incentives/disincentives arising from the use of “Certified” EHRs and achieving “Meaningful Use” and “PQRS” mandates. The EHR industry has benefited immensely from the Federal Government’s $30+ billion investment and have a responsibility to ensure that their EHRs meet the needs of our society. This could be efficiently and inexpensively accomplished if they made their EHR programming code “published information.” After the EHR programming code is “published information,” and the academic, medical and technical communities have scrutinized the code, we can expect to see fewer EHR errors and bias. This will help ensure that EHRs evolve into the accurate, flexible and highly optimize tools which we need to delivery low cost and high quality healthcare. Review of Reported Clinical Information System Adverse Events in US Food and Drug Administration Databases. Myers RB, Jones SL, Sittig DF. Appl Clin Inform. 2011;2(1):63-74. A clinical case of electronic health record drug alert fatigue: consequences for patient outcome. Carspecken CW(1), Sharek PJ, Longhurst C, Pageler NM. Pediatrics. 2013 Jun;131(6):e1970-3. Triumph Of The Nerds Part 3, Great Artists Steal, PBS, 1996, https://archive.org/details/PBS.Triumph.of.the.Nerds.3of3Hayward Zwerling, MD practices at the Lowell Diabetes and Endocrine Center and is Vice Chair of the Committee for Information Technology of the Massachusetts Medical Society. This proposal does not reflect the views of the Massachusetts Medical Society. For more transparency and quality Electronic Health Records, we have created a very user friendly platform in which the health records would be uploaded by our partnered Health Service Providers directly into a log in ID of the patient. If the Health Service Provider is not partnered with us then there is an option to self upload the health records also. This will cost the patients just INR 120 p.a. or approximately $2.00 p.a. and they can access their health records anywhere, anytime. As an introductory offer, we are not charging anything as of now. Please register at http://www.medicalui.com and review it. Agree. Beyond the broader contentious issue, a good place to have started would have been a “Standard Data Dictionary” as a requirement for ONC certification, given the “interoperability” needs. Thank you Hayward for shining a light on this very important topic. Secret software is now becoming secret medicine. If there is some kind of limit to medical secrecy then that limit will also apply to software that implements that functionality. As for errors, proprietary software vendors have an incentive to hide errors (including gag clauses) whereas open source software has the incentive to make the errors public so they will get fixed. Well designed EHRs can be useful. I could not survive without my EHR. Polls show that most physicians do not want to give up their EHR and return to pen and ink. They want a better designed/more functional EHR. There is promise in EHRs, but, in my opinion, they have been overhyped are not likely “the solution” to the healthcare cost/quality problem. To get the full story CIOs and IT departments will need to open up as well as EMR vendors. The settings that have the most impact on the patient/clinician experience are often organization specific i.e. the hospital configures their system as part of the installation. Looking at the source code will not tell you how the various alerts, screens/workflows, medication formularies etc are actually configured and used at the point of care. For this reason, the same EMR product may be safe and easy(or easier) to use at one provider but clunky with patient safety concerns at another.